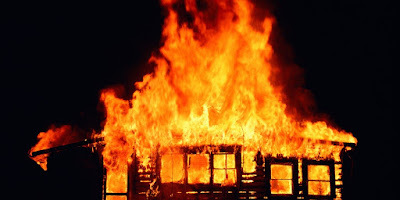 Four members of a family of five, lost their lives on Thursday when a raging fire, engulfed some residential buildings in Tudun Murtala quarters in Nasarrawa Local Government Area of Kano State. The fire was said to have started some few minutes after midnight in a compound where petrol was stored, and thereafter spread to other buildings killing the four persons. Some other family members were reported to have sustained injuries including a fire fighter who was part of the team deployed in the scene. According to eyewitnesses, volunteers who rushed to the scene before the arrival of fire fighters used sand to combat the fire due to the unavailability of water in the area. The Kano State Director of Fire Service, Alhaji Mustapha Mohammed Rilwan, who confirmed the incident, disclosed that one of his officers, suffered severe burns, while others, who also suffered injuries were rushed to the hospital for prompt medical attention.